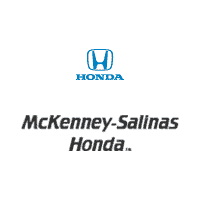 If you are searching for the latest Honda models you have come to the right place, McKenney-Salinas Honda right outside of Charlotte has a large selection of new Honda SUVs, vans, trucks, and cars for sale. Vehicles such as the new Honda CR-V and the new Honda Civic provide the necessary technology and capabilities to take you on your next adventure; whether that be to work or away for the weekend. Explore our inventory of new vehicles above and if you have any questions feel free to contact us or give us a call at (877) 350-6854. Even better yet, stop by our Honda dealership near Charlotte at 4295 Wilkinson Blvd in Gastonia.